The statistics are overwhelming that distracted driving kills. According to the National Highway Traffic Safety Administration, distracted driving killed close to 3,500 people in 2015. Even when car and truck drivers are not distracted, they often fail to see or look for motorcycles. At Harris Lowry Manton LLP, our Atlanta distracted driver attorneys have achieved some of the highest jury awards and negotiated settlements in the state. Our firm has the personal touch of a boutique firm combined with the experience and resources of a big, powerhouse firm. 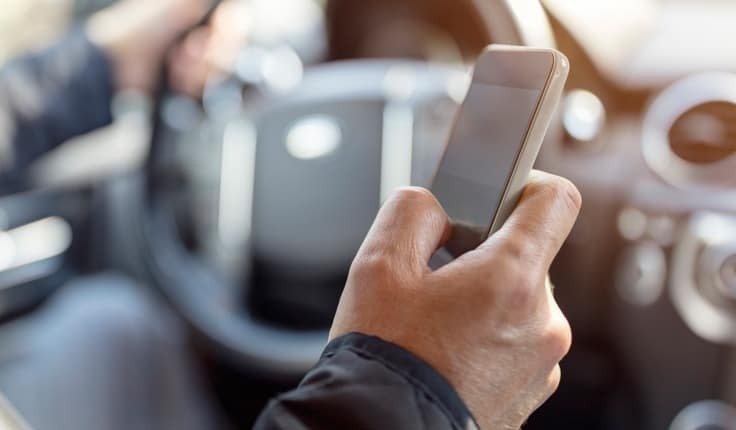 In these cases, we often demand punitive damages because distracted driving is unconscionable. We also demand compensation for all necessary medical surgeries and doctor visits, lost wages, scarring and disfigurement, and damages for physical pain and emotional suffering caused by your motorcycle crash. Some forms of distracted driving are completely inexcusable. Drivers who operate their vehicle while intoxicated should be held fully accountable for the harm they cause. Every driver should understand that texting while driving is extremely dangerous, as is eating, fiddling with GPS or radio, and paying more attention to passengers than the road. Are not looking at the traffic and signs in front of them and around them. Are not thinking about how to react if any potential dangers should arise, such as a passing car or red light. Are not able to react in time because their hands are not on the steering wheel and their eyes are not on the road. Any activity that shifts the driver’s eyes and removes one or both hands from the steering wheel is considered distracted driving. Cars going 60 mph are traveling 88 feet per second. That one second can mean the difference between life and death. Anyone or any entity who knowingly served alcohol to someone who was intoxicated may be liable. Owners of the vehicle may be liable, on the theory that they should have supervised and educated the driver about the dangers of distracted driving. Trucking companies can be liable if they pressured a driver to operate a truck at high speeds or while fatigued in order to meet unreasonable shipping deadlines. Both motorcycle operators and passengers have the right to hold distracted drivers and others who could have monitored the distracted driving accountable. The families of deceased motorcycle riders also have the right to bring wrongful death claims. At HLM, our Savannah motorcycle accident lawyers are dedicated to fighting for injured travelers. Whether you were injured on a federal road such as Interstate 85, a state road such as Georgia State Route 3, or a rural country road does not affect your right to bring a claim. We represent injured motorcycle wreck victims in state and federal court. If you have been injured in a motorcycle crash caused by a distracted driver, we can help. To arrange a free consultation, please call us in Atlanta at 404-998-8847 or in Savannah at 912-417-3774, or fill out our contact form. Automobile defect resulting in spinal cord injury.